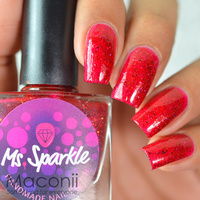 A neon purple-magenta jelly polish with black shreds and flakies that shift through pink, gold, green and blue. A red jelly polish packed with holographic glitters and flakies that shift through red, orange and copper. 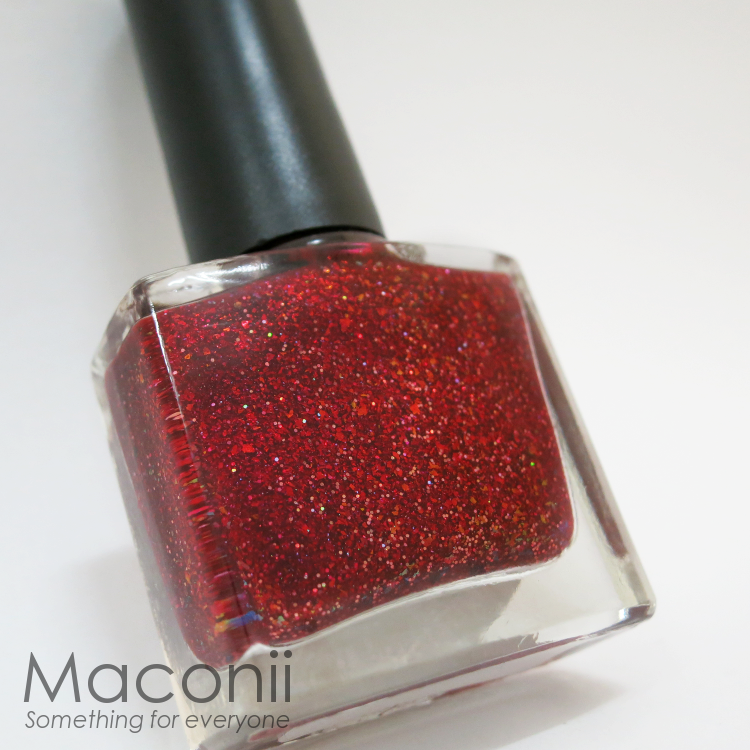 A red jelly polish full of flakies that shift through red, magenta, orange and copper with subtle holographic shimmer thoughout. 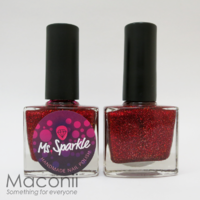 An aqua green jelly with a subtle green shimmer throughout. 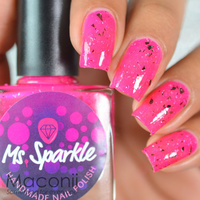 Mixed with hints of black shreds and multicoloured flakies that shift through blue, green, gold, pink, purple and blue! 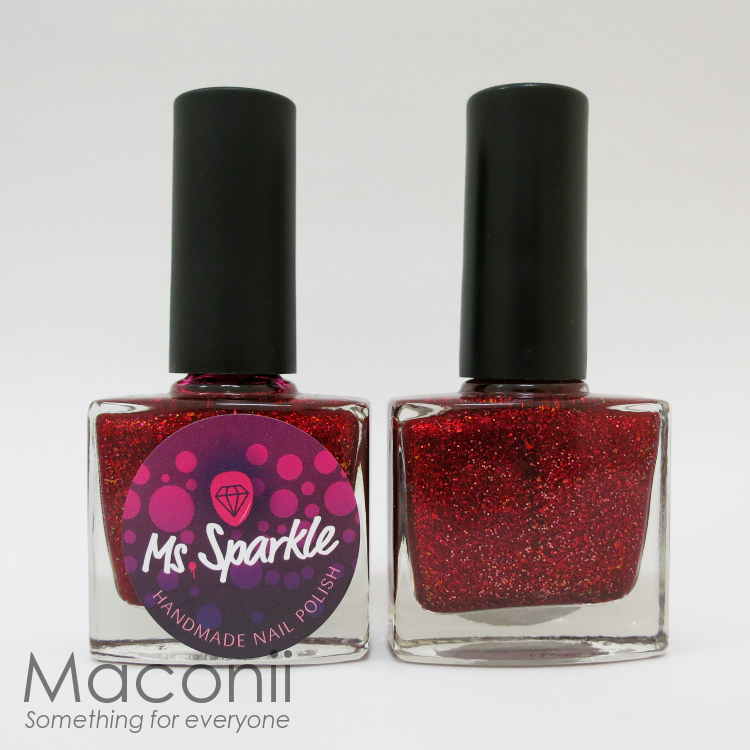 Ms. Sparkle is an artisanal indie made name, all beautifully handmade and not just your regular off the shelf brand. 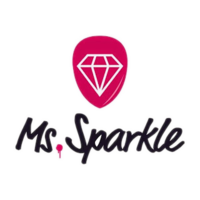 All Ms. Sparkle products are 5-chemical-free, vegan friendly, cruelty-free and EU approved.